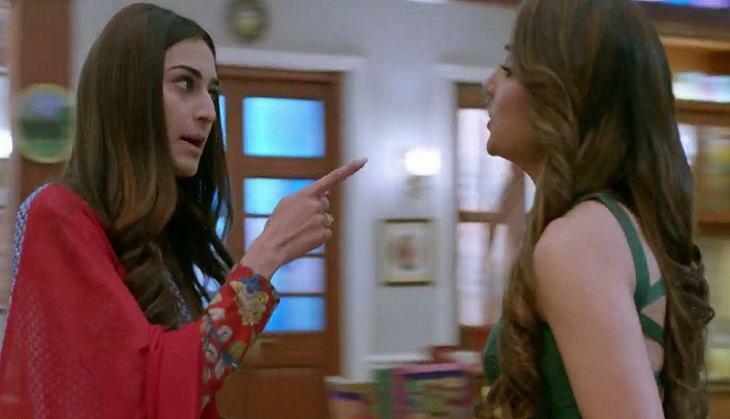 Home » Television News » Kasautii Zindagii Kay 2: Anurag-Prerna aka Parth Samthaan, Erica Fernandes give shocking details about Komolika aka Hina Khan's exit! From the past few days, there have been talks about Star Plus' popular show Kasautii Zindagii Kay 2 and its actors Anurag-Prerna-Komolika aka Parth Samthaan, Erica Fernandes and Hina Khan. There were reports saying that the vamp of the show will be bidding the show goodbye because of her prior work commitments and now her co-actors have opened up about her exit from the show in the recently held Indian Telly Awards 2019. Parth and Erica graced the event together and they walked hand in hand at the red carpet of the show and not only this they even won the Best Jodi trophy. Post they won the award at the night, they sat for a media interaction where they were asked about Hina's exit from the show, to which the actress said that she will not take an exit from the show but will be off for a few months because of her projects. Talking about the plot of the show, it is being said that Komolika will make an exit from the Basu house, later which Moloy Basu, Anurag's father who was in coma will wake up and bring the real face of Komolika infront of the family and will even throw light on her evil plans and will take away all the property papers back from Komolika. Prerna too will come to know why Anurag married her later which Komolika will be thrown out of the house in front of the whole family. Coming back to the actors, there has been a rife on the social media saying that the equation between the lead actresses of the show wasn't friendly and the two are not in talking terms with each other. It has even been said that Hina wasn't invited to Parth's birthday party because of the same reason and about this the actor even opened up about this in an interview. For more details about the show, stay tuned to us!